Pregnant women who consumed 400 mg per day of DHA had children with better functioning immune systems, which resulted in fewer and less severe illnesses. The study involved 1,100 pregnant women and 900 infants. All of the infants in the study were breast fed, receiving increased DHA from the breast milk of supplemented mothers. They were not supplemented with DHA, however, after giving birth. At one month of age, the infants in the DHA group experienced a reduced occurrence of cold symptoms by 25 percent, including a shorter duration of cough, phlegm and wheezing. At age three months, the infants in the DHA group spent 14 percent less time being ill.
At six months of age, infants in the DHA group experienced shorter duration of fever, nasal secretion, difficulty breathing and rash. 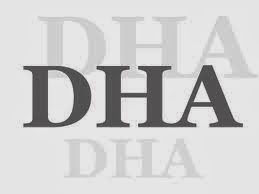 DHA is now recognized as a vital nutrient to train the inflammation/anti-inflammation systems of the human body. Fighting off an infection is always an inflammatory event, followed by an anti-inflammatory period of resolution. The ability to learn to fight infection efficiently is a vital step in immune system “schooling.” The fact that DHA is helpful in this type of immune system training is of immense importance to the health of the child, not only as an infant, but throughout life. These early lessons have a profound impact on later-life immune system competence.